SEP180020 - In the 1920s, the Harlem Renaissance is in full swing, and only the Sangerye Family can save New York-and the world-from the supernatural forces threatening to destroy humanity. But the once-great family of monster hunters has been torn apart by tragedies and conflicting moral codes. The Sangerye Family must heal the wounds of the past and move beyond their differences… or sit back and watch a force of unimaginable evil ravage the human race. 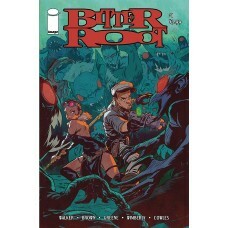 DAVID F. WALKER and SANFORD GREENE, the creative team of Power Man and Iron Fist, along with indie veteran CHUCK BROWN (Trench Coats, Cigarettes and Shotguns) bring you 24 action-packed pages of monsters, mayhem, and family dysfunction in a brand-new ongoing series. 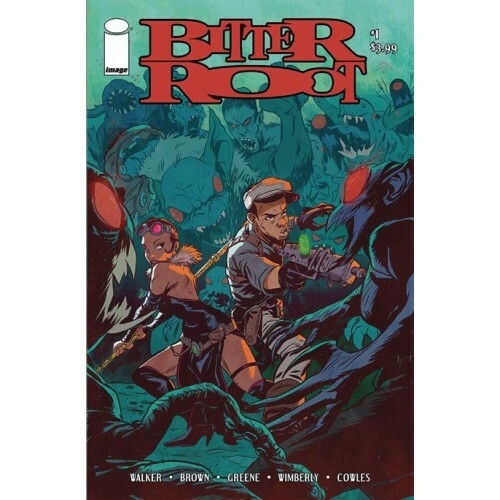 BITTER ROOT Cover As by SANFORD GREENE will be connecting through the first story arc.